Greetings Friends! 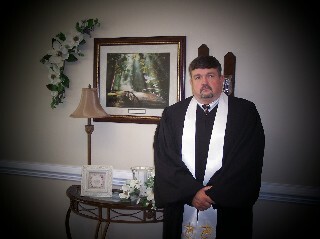 It is an honor to have you as a guest to the Serenity Baptist Church website. There are so many things happening here at Serenity. God is really moving in the hearts and lives of the people and beginning a fresh, new work in them. I am blessed to have the opportunity to serve as Senior Pastor and to experience God's work up close and personal. "Think of ways to encourage one another to outburst of love and good deeds and let us not neglect our meeting together as some people do, but encourage and warn each other, especially now that the day of His coming back again is drawing near." If you are in search of a church home or if you would like to visit for some encouragement and fellowship, please come visit us! We would love to get to know you! Ain't God Good.....All the time!!!! !